Pressure is increasing on independent pastors and their communities to join the state-controlled Protestant church. This Declaration came in response to the closing by authorities of well-known house churches such as the Zion Church in Beijing, and the Early Rain Covenant Church in Chengdu. These and other house churches have been harassed repeatedly by authorities for refusing to join the officially controlled Three-Self Church. Since the declaration was published, the pastors who signed it have faced intensified harassment by authorities due to their steadfast commitment to pure religious belief. Take, for example, the case of a preacher who wished to remain anonymous for security reasons from Xiamen city in Fujian Province in southeastern China, who was harassed repeatedly over the last few months. On November 20, officers from the local police station and sub-district office requested that he register at the Bureau of Religious Affairs, and report to them the identifying information of his church members, as well as their number in total. Within a week following the incident, the church was harassed twice more. 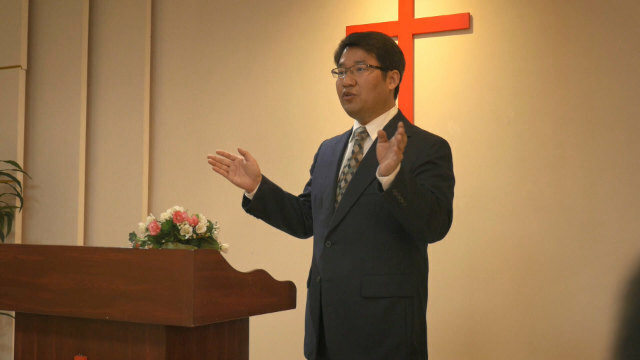 Authorities again summoned the preacher to the Bureau of Ethnic and Religious Affairs and ordered him to join the Three-Self Church and to cooperate with government investigations. They also said that he should not put out a donation box or grow church membership, otherwise he would be breaking the law. The head of a house church in Fuzhou, the capital of Fujian Province, faced a similar ordeal. On November 5, he was questioned by county government leadership for refusing to join the government-sanctioned Three-Self Church. Authorities claimed that one of the church’s congregation sites, the House of Eternal Blessing, constituted an illegal congregation site, and that they had changed the architectural structure of the residence without approval. In his defense, the church head produced the building’s blueprints to prove that he hadn’t changed its structure and explained to them that the congregation was made up of friends and relatives, and therefore it wasn’t illegal. In response, authorities tried to bribe him. “We have a new congregation site here for you. All you have to do is [register] to be affiliated with it,” the chairman of the local branch of the Committee of the Three-Self Patriotic Movement said. Still, the church head refused. Since March 2018, the House of Eternal Blessing congregation site has been harassed by authorities 11 times in total. During this period, the water and electricity were cut off for a month. The day before the church head was questioned, authorities dispatched a force of over 100 officers to raid the House of Eternal Blessing again, but members of the congregation escaped before officers arrived due to an advanced warning. The preacher became philosophical when he thought about the effects of the government’s persecution. “This type of long-term persecution is a true test of faith,” he said. Though church members have not faced arrest yet, they have suffered through high-handed techniques, open-ended harassment, and material deprivation such as suspension of electricity and water. The pastor fears that the ongoing persecution will eventually break the faith of his congregation. Since October, eight other house congregation sites in Fuzhou, including those belonging to the Gelinlanjing Church and the Kangshanli Church, have been subjected to persistent harassment at the hands of authorities demanding that they register. Despite the harassment from the state, the house church pastors remain defiant. “We will act in accordance with the Bible, and resolutely refuse to register [to join the Three-Self Church], because if we register, the government will interfere in the church’s internal affairs,” the head of one congregation site stated.